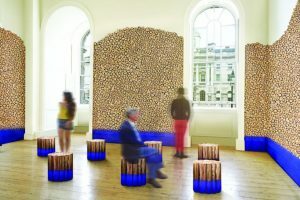 State of Indigo – presented by the India Pavilion at London Design Biennale 2018 – will immerse viewers in the labour-intensive setting of the production of indigo, a pigment used to dye textiles, repel insects, cure ailments, disinfect, ward off spirits and even to decorate an entire city. 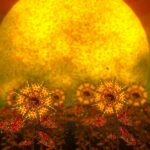 The multi-sensory, immersive installation responds to London Design Biennale’s 2018 theme ‘Emotional States’for the Biennale’s second edition at Somerset House and is curated by Priya Khanchandani with the Gujral Foundation as Commissioning Body. The installation features an archival film displayed across the walls of a Somerset House gallery, which transports viewers to the troughs used in indigo production. Filmed around two decades ago at one of the last farms in India to produce the natural dye, State of Indigo gives an insight into the demanding production methods that have gone largely unchanged for millennia. 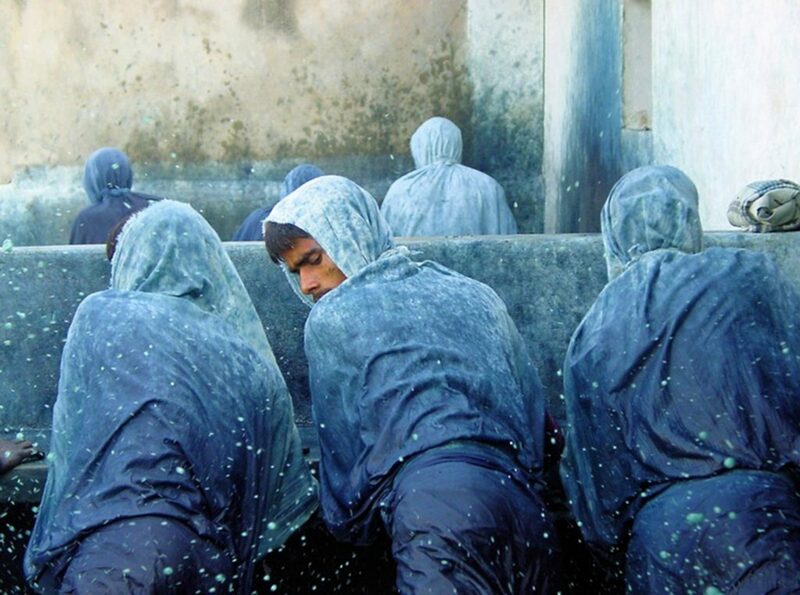 Workers are shown standing in a line thrashing the water with their outstretched legs, with the film highlighting the hours of hard labour required to produce only a small bar of concentrated dye. Through an emotional experience of this pigment, the installation will enable indigo to be understood more profoundly, by communicating its emotional charge and potency. The film will be accompanied by a sound installation comprising a rhythmic beat, allowing visitors to experience the installation. the 1600s onwards, and farmers were exploited to grow and produce the dye, known as ‘blue gold’, under colonial rule to cope with rising international demand. State of Indigo brings these invisible histories to light and reveals indigo to be a highly ideologically loaded design tool, which needs to be asserted as being representative of India’s design identity. 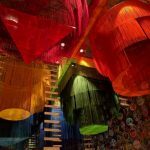 “Although we take a cue from the past, the India Pavilion also alludes to significant issues of our time. explores the role of design in our collective futures. 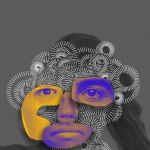 Priya Khanchandani is a curator and writer based in London. She is the Editor of ICON Magazine. Priya specialises in the dissemination of ideas about contemporary design and Indian culture through writing, curating and arts management. Since 2011, she has published dozens of articles for publications ranging from Frieze, The White Review and Disegno to Bloomsbury’s Encyclopaedia of Design and has spoken at numerous festivals, conferences and on BBC Radio 4. Priya’s degree in Modern Languages at Cambridge University, specialising in Renaissance Italy, inspired her interest in visual culture. She went on to train in the History of Design in a museum context by completing an MA at the Royal College of Art, where she was awarded a Distinction and the annual Dissertation Prize for her research on urban India now. This entry was posted in DESIGN and tagged London Design Biennale, London Design Biennale 2018. Bookmark the permalink.